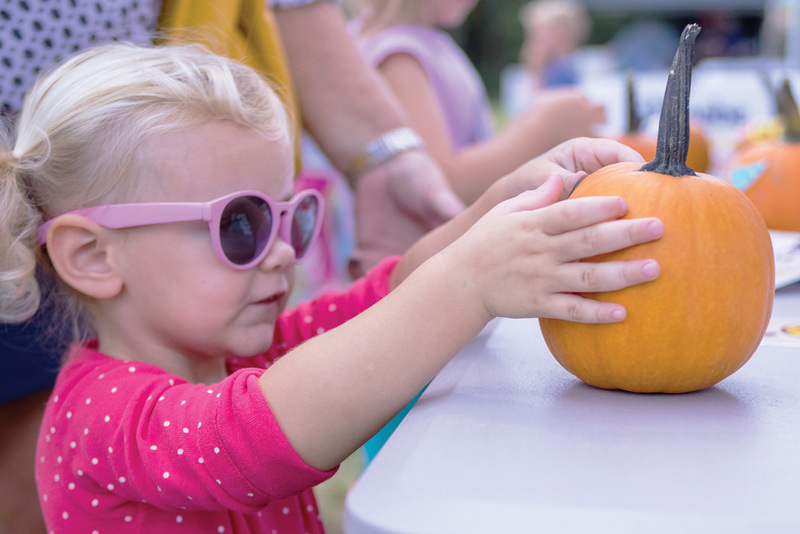 Rae Tribbet prepares to paint a perfectly puny pumpkin... or perhaps pepper it with paste and paper... either way, this little lady is about to decorate a gourd. 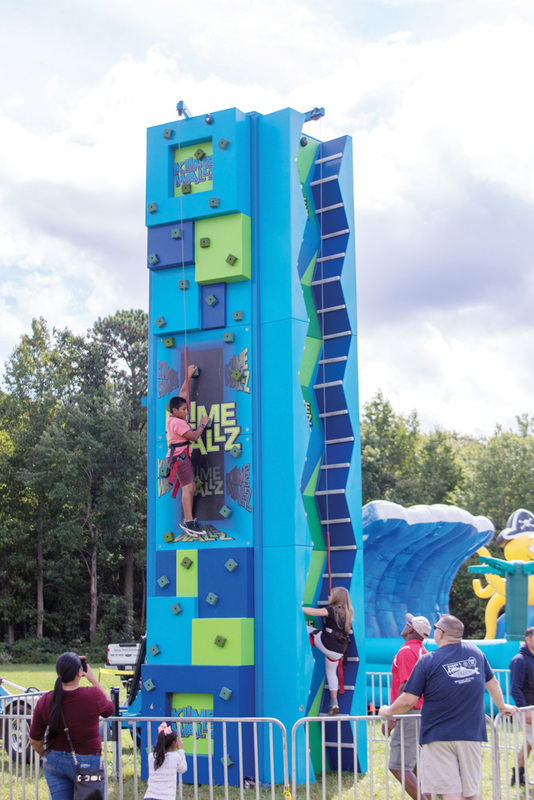 Point designer Tom Maglio would very much like to climb this super cool 3-D wall climb... but it’s very doubtful he’d meet the height requirement. 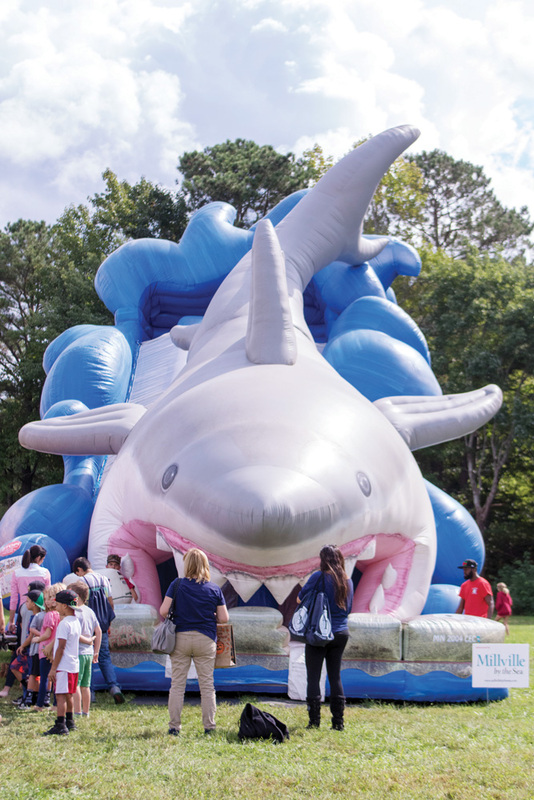 If you’re wondering why a giant shark slide is at a pumpkin festival, you should obviously pay closer attention. It’s clearly a giant dolphin slide, dressed up for Halloween. 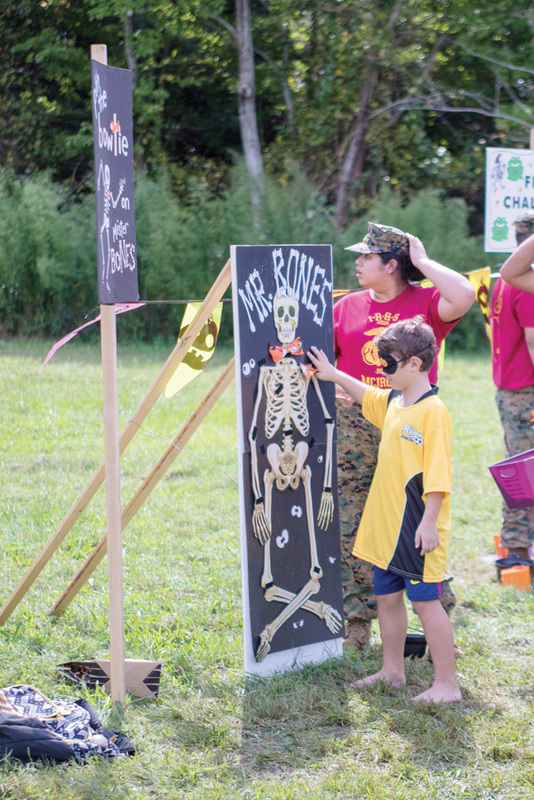 No bones about it, pin the bow-tie on the skeleton is a tough game when you’re blindfolded. 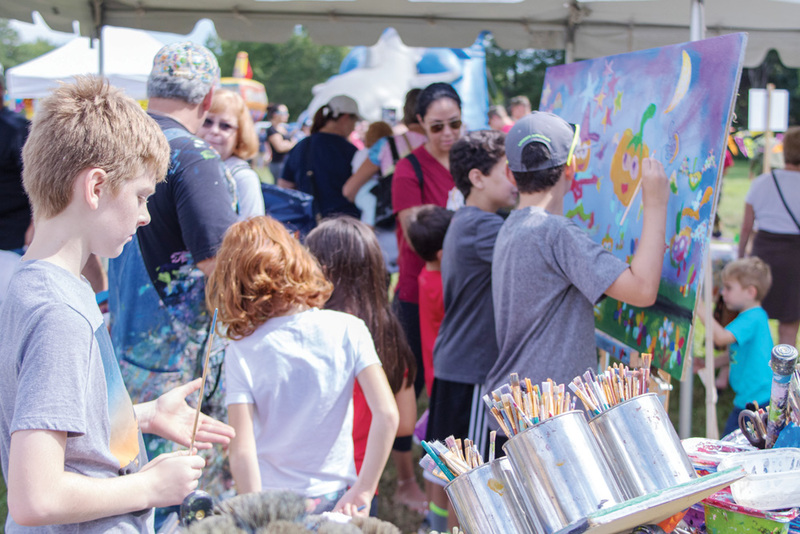 Valliant Jake Dylan and Kyle Cunningham and others contribute to a mural at the Great Pumpkin Festival.